The autumnal apple harvest actually has a storied past steeped in Halloween traditions of yore. The apple was viewed as a sacred fruit that could be employed to predict the future, dating back to the ancient Celtic festival Samhain. Bobbing for apples is a traditional Halloween game that was played for fortune telling, particularly to divine the romantic destinies of the players. In fact, apple giving was a popular Halloween custom up until the 1960s— in some parts of North America, children still say “Halloween apples” instead of “trick-or-treat” when going door-to-door. A fruit rich in mythology, and tied to the season, it is no wonder that throughout the years, apples have been a popular symbol of Halloween. To mark both the holiday and the harvest, we’d like to share some of our favorite ways to savor Envy™ apples this Halloween— from terrifying sweet treats to scary-good cocktails, and pumpkin spice and everything nice! For even more recipes and sweet treats, click here! The classic caramel covered apple just got an upgrade. 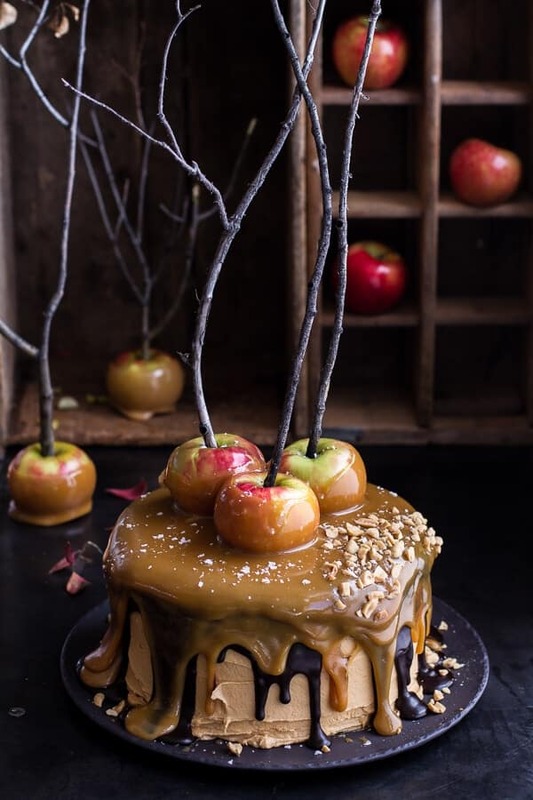 Treat yourself to a sinful Snickers and Caramel Envy™ Apple Cake this Halloween. The sinfully sweet inside and gooey outside definitely won't scare anyone away. Shocker, we included a candied apple; we LOVE them! Can you blame us?! 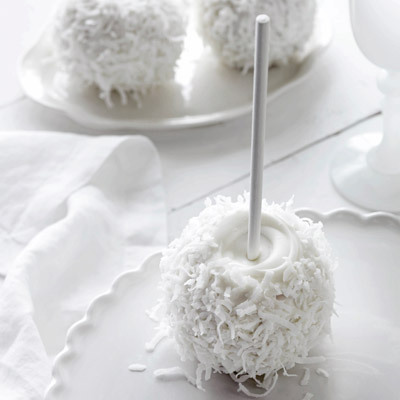 There are tons of variations on the classic treat, but we are swooning over this spooky take that uses white chocolate and coconut to give your Envy™ Apples a ghostly presence. We bet these will be gobbled up before you can say “boo”! Looking for something a little less scary this Halloween? Try out these Pumpkin Spiced Oreo and Envy™ Apple Cake Balls! Halloween is just not Halloween without Pumpkin Spice. Pair these with the spooky drink below! Easy to make with just a few staple spices, this Red Apple Cider Sangria is a hassle-free adult bevvie that is a cinch for hosts to whip up. Extra points for donning a Transylvanian accent and saying “I vant to drink your blood” while imbibing. Finish the night with our Halloween version of s’mores! These Envy™ Apple Cinnamon Marshmallows are to die for! Get it? Seriously, these will bring out the sweet-tooth in everyone! Pretty and festive, this apple votive DIY is a Halloween classic. Super easy and seasonal, this project can also do party double duty. 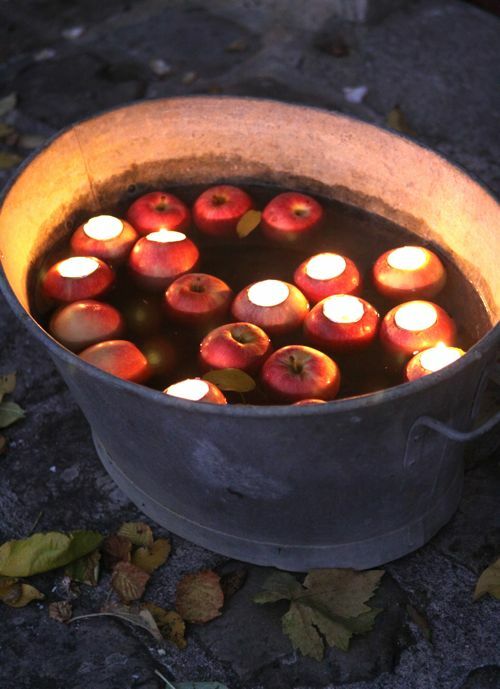 Use the bin for a game of bobbing for apples— before putting in the votives and lighting the candles, of course! At Envy™, we plan to spend our Holiday enjoying these scary-good treats and celebrating our US harvest season! We hope that everyone has a safe, somewhat-scary, and satisfying Halloween night!